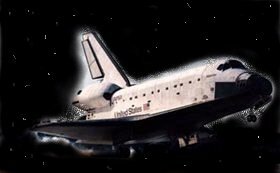 WELCOME TO THE OFFICIAL WEBSITE FOR THE STS-93 SAREX' 99 MISSION! 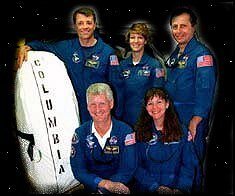 Students participated in talking to Commander Eileen Collins aboard the Columbia on Saturday, July 24, 1999 at 5:43 pm. Please investigate the links on this page to become completely familiar wih the operations aboard the orbiter. What is Sarex? Where's the Shuttle?